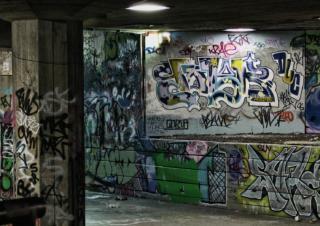 In the modern world there is sometimes a complacency that we have somehow conquered nature. This belief can be destroyed in moments when the planet reminds us this is not the case, and in the most brutal ways. Of all these tsunamis are one of the most terrifying and devastating of all natural disasters. The terms tsunami and tidal wave are often used interchangeably, although these actually describe different phenomena. Tsunamis are ocean waves which are created by the sudden movement of land; this is most commonly from an earthquake but can also be caused by volcanic eruptions and landslides. Whatever the cause the result is a huge surge of water that travels across the open ocean at vast speed. Tsunamis travel at around 500 mph (800 km/h) and will travel the width of an ocean without losing much of their power. 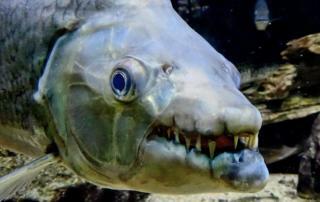 They are barely noticeable until they hit shallow coastal waters where the massive volume of water is concentrated upwards. Contrary to the popular image of the tsunami the actual wave may appear fairly unimpressive. It may seem like the sea level is rising rapidly and sweeping everything before it. On occasions though the wave itself can be immense, over 100ft (30m) in some cases. However, this pales into insignificance compared to mega-tsunamis (see bottom of article) that can be over 10 times this height. 2,000+When we think of tsunamis we tend to associate them with the Pacific / Indian Ocean “Ring of Fire” with its volcanic islands and ever shifting tectonics. Although this is certainly where the majority of tidal waves have occurred it is by no means the only region affected. In fact virtually anywhere with a coast is susceptible to tsunamis of one form or another. As you see from this list Europe has had its fair share of hugely destructive tsunamis with few other natural disasters wreaking the same amount of death and destruction. The most recent of these happened early in the morning 3 days after Christmas 1906 in the waters between Sicily and mainland Italy. The tsunami was triggered by a powerful earthquake; the deadliest ever witnessed in Europe killing anywhere up to 200,000 people and more-or-less obliterating the coastal cities of Messina and Reggio Calabria, on the other side of the straits. 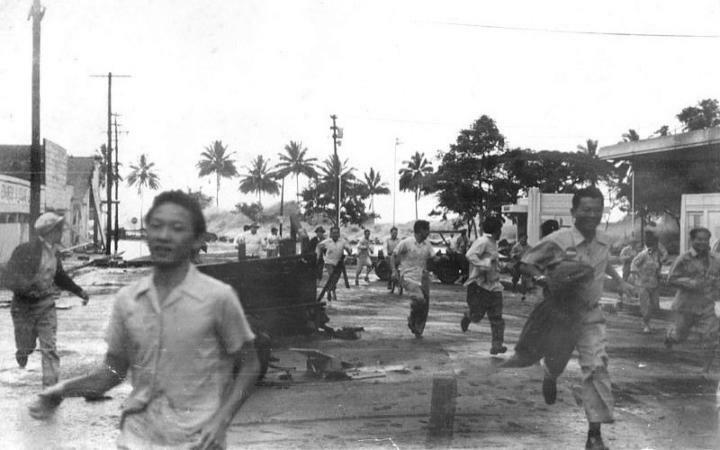 Survivors of the earthquake poured out onto the streets to avoid falling debris, many choosing the seafront as the safest place. 10 minutes after the quake, at 5.30am the water on both sides of the straits suddenly drained from the shore. Minutes later three tsunamis measuring up to 39ft (12m) struck killing thousands, both in the cities and further along the coast. Given the overall scale of destruction the exact death toll is not clear but the most conservative estimates are around 2,000, but the figure was likely much higher than this. The tsunami from Valdivia struck distant shores such as Hawaii, Japan and the Philippines. You can actually make out the tsunami at the back of the photo, between the palm trees. 6,000On 22nd May 1960 the most powerful earthquake ever recorded occurred in southern Chile. Measuring up to 9.6 on the Richter scale this enormously powerful quake unleashed a tsunami that wrought devastation across the Pacific. Within 15 hours of the earthquake a 35ft (11m) wave struck Hilo in Hawaii. Despite a tsunami warning being issued 61 people were killed. 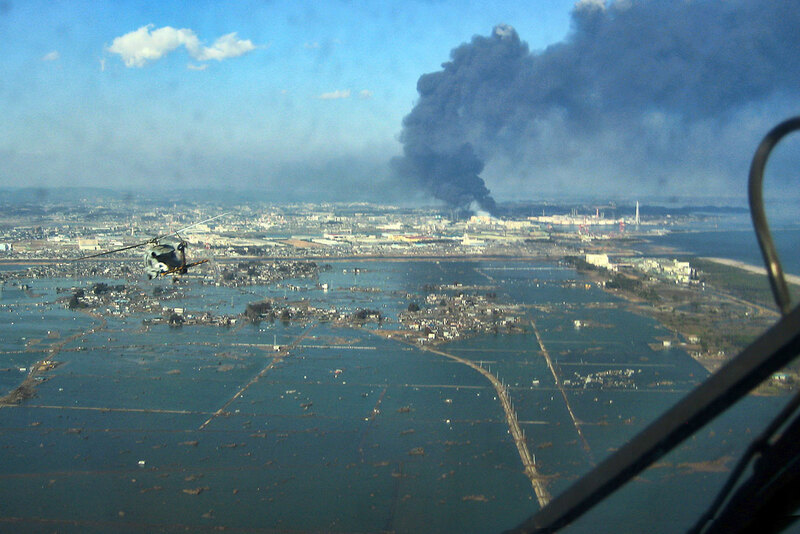 Around 22 hours after the earthquake the tsunami reached the shores of Japan where, although somewhat diminished, still managed to kill 142 people. China, the Philippines, New Zealand and Australia were all affected by the tsunami but it was in Chile where most of the 6,000 casualties occurred. Waves here were recorded at up to 80 feet (25m) and brought destruction to much of the country’s coast. 13,500If any one country has suffered disproportionately from tsunamis it is Japan. Even the word itself is Japanese. Virtually every other major tsunami seems to have centered around this country and given its geology and geography this will continue to be the case. 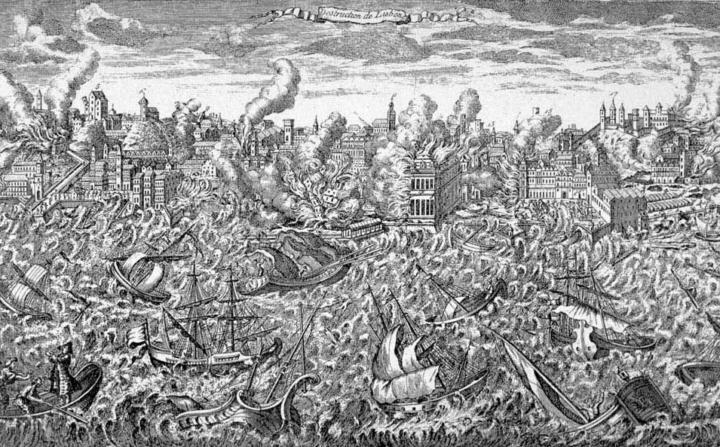 It seems like the 18th century was a particularly bad century for the country with a spate of violent earthquakes followed by deadly tsunamis. It is difficult to say if the 1771 tsunami which struck the tropical southern islands of Japan was worse than the 1707 Hōei tsunami or 1792 Unzen tsunami. All probably killed in excess of 10,000 people, though the historical records are not completely reliable. 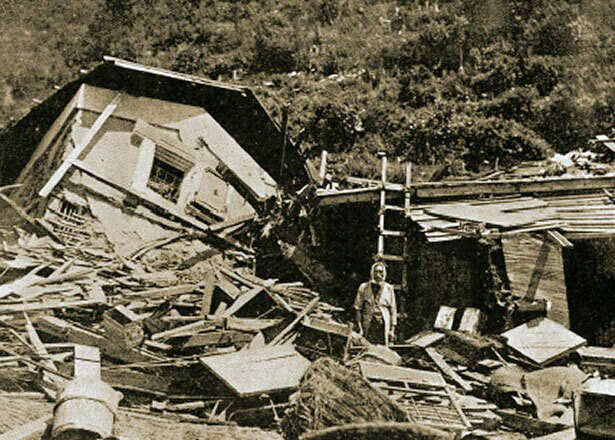 The Ryukyu tsunami was triggered by what was named the “Yaeyama Great Earthquake”, although in reality this was not particularly powerful and occurred around 25 miles (40km) off the coast of Ishigaki Island causing little immediate damage. The quake struck at around 8am but within a matter of minutes a powerful tsunami ripped through the southern island chains of Okinawa. Ishigaki bore the brunt of the wave and while estimates vary dramatically it was huge – anywhere from 125ft (40m) to over 250ft (80m) high. The result was massive death and destruction. Not only where over 13,000 people killed throughout the Yaeyama and Miyako Islands, but the inundation of seawater ruined much of the agricultural land. The tsunami was followed by an outbreak of malaria and crop failures with the eventual population being only a third of what it had been. Today the idyllic sandy beaches and coastline of the islands are dotted with random rocks here and there. These are said to have been deposited here by the tsunami. None is more impressive than Obi Rock on Shimoji island. This house-sized rock was deposited at the top of a 35ft (11m) cliff. Up to 20,000As we have already established, Chile is certainly capable of producing a good deal of seismic activity. Indeed it is situated on the infamous “Ring of Fire” that encompasses the Pacific Ocean. On the afternoon of August 13th 1868 all was quiet in the busy port town of Arica. Then at around 5pm, without warning a massive earthquake struck devastating the city. This was followed by a more powerful aftershock which virtually levelled the port; it is said that only two buildings were left standing after the quake. The epicentre of the earthquake had been some distance offshore in the Peru-Chile Trench and is estimated to have had a magnitude of around 8.5 to 9. These are exactly the conditions to spawn a tsunami and this is exactly what happened. 52 minutes after the earthquake had struck the port was battered by a 39ft (12m) wave. Witnesses described the wave of not being so much a wall of water, but as the sea level falling then rising, engulfing everything in its path. But worse was to come; 20 minutes later an even bigger tsunami hit. This was estimated to be over 50ft (16m) and completed the job of the destruction of Arica. It was not just those in the city that perished – the busy harbour was full of boats and ships, many with crew on board. This was the case with the steamer USS Wateree. Like the other boats in the harbour the crews knew they would be better off out to sea after the earthquake, however, there wasn’t a breath of wind. This shouldn’t have been a problem for the two steamships in port, unfortunately the Wateree was undergoing repairs to her boilers and the other steam vessel, the America was low on coal. 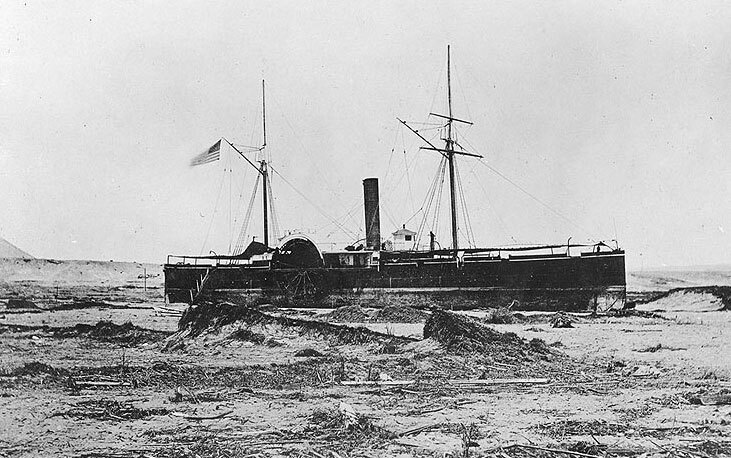 Of all the ships in the harbour the Wateree came off best although she never sailed again. After her anchors broke the ship was washed over half a mile inland a deposited there relatively undamaged along with nearly all her crew. The boilers are all that remains of the ship and are still here as a monument. The tsunamis devastated much of the coast of northern Chile and southern Peru, and this is where most of the casualties occurred. But the effects were not limited to the South American coast. Many villages on Chatham Island near New Zealand were washed away by a 10m (30ft) wave and considerable damage caused on mainland New Zealand. Hawaii was affected by the waves and even Japan suffered some damage almost a day later. 18,500The 2011 Japan tsunami began with an massive earthquake just off the coast of Tōhoku in northern Japan. With a magnitude of 9 it was the most powerful earthquake ever to have hit Japan, a country relatively well known for earthquakes. The quake caused wide-ranging geophysical effects; parts of northeast Japan shifted as much as 8ft (2.5m) closer to North America, a 250 mile (400km) stretch of coastline dropped almost 2ft (0.6m), numerous undersea landslides occurred, and most significantly, a 11o mile (180km) section of the seabed rose by 18-25ft (6-8m) unleashing a powerful tsunami. The tsunami made land around an hour after the earthquake and the rest is history as they say. Unlike any other disaster on this scale the horrific destruction was broadcast virtually live as it happened. I recall being transfixed to the TV watching aerial film of cars trying to escape the relentless wall of water as the sea engulfed the land. Given this is the modern world with advanced warning systems and communications the loss of life was quite shocking. The fact is no one imagined the scale of the tsunami that had been unleashed. Walls built to defend from such an event were quickly overtopped whilst people who thought they were safe on higher ground were not. In some towns the onslaught of debris-filled water was as high as a three-storey building. Most places affected were hit by waves well over 16ft (5m) whilst the highest reported tsunami height was 133ft (40.5m) in Miyako, Iwate Prefecture. This is the highest measurement ever recorded in Japan and illustrates the severity of the disaster. Although the tsunami did travel to the four corners of the Pacific damage was relatively light and casualties almost non-existent. 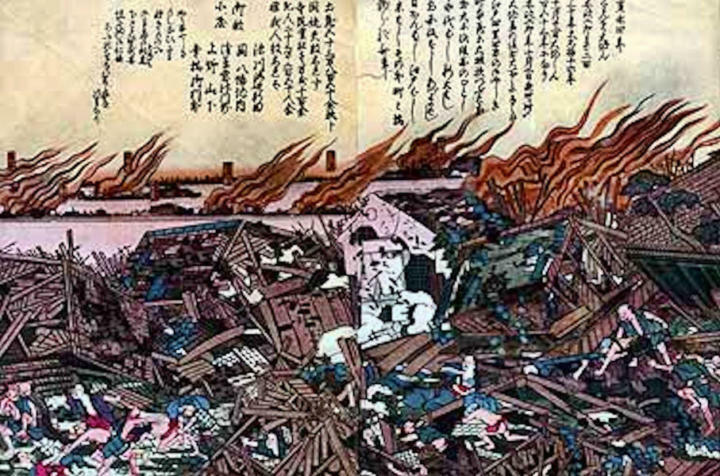 31,000In 1498 a powerful earthquake struck around 35 miles (60km) off the coast of Nankaidō. The tsunami generated by the movement of the sea floor soon hit land the large port of Wakayama where it is thought to have killed over 30,000 people. The height of the wave was described as being several meters. Given that a building protecting the great Buddha of Kamakura was swept away the tsunami must have been at least 30ft (10m) in height. 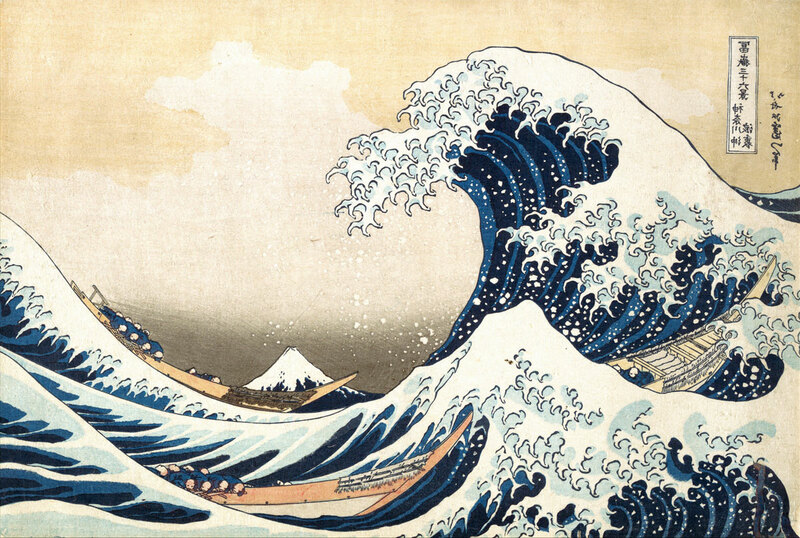 27,000In 1896 Japan was struck by one of the most powerful tsunamis in its history. In both location and destructive power this tsunami was a harbinger of things to come in 2011. The Sanriku tsunami was triggered by an earthquake with a magnitude of around 8.5 which occurred around 100 miles (160 km) off the coast of Honshu. Whilst this was a powerful enough quake the resulting tsunami was unexpectedly large due to the nature of the movement of the seabed. When it hit land 35 minutes later the wave measured up to 125ft (38m). Sanriku’s tsunami caused a huge number of casualties, not only because of its power which is said to have ripped apart the bodies of many victims, but because it was unexpected. Coastal communities were celebrating a Shinto holiday when a minor tremor was felt; as there had been several such over the previous months nothing was thought of it. Within the hour two huge tsunamis would see up to 27,000 people dead. To compound the tragedy the local fishing fleets were at sea. As tsunamis are virtually unnoticeable as they travel across deep water the fishermen were unaware of anything wrong until they returned to harbour the following morning. 30,000+To anyone visiting the Portuguese capital, Lisbon, there is a poignant reminder of the events of the 1st November 1755. The ruined arches of the Carmo Convent stand overlooking the city center, never rebuilt after the day the huge church collapsed on the congregation who were attending a service there. This was the result of a massively powerful earthquake which struck several hundred miles off the southern coast of Portugal. An earthquake so powerful it was felt as far away as Finland and Greenland. 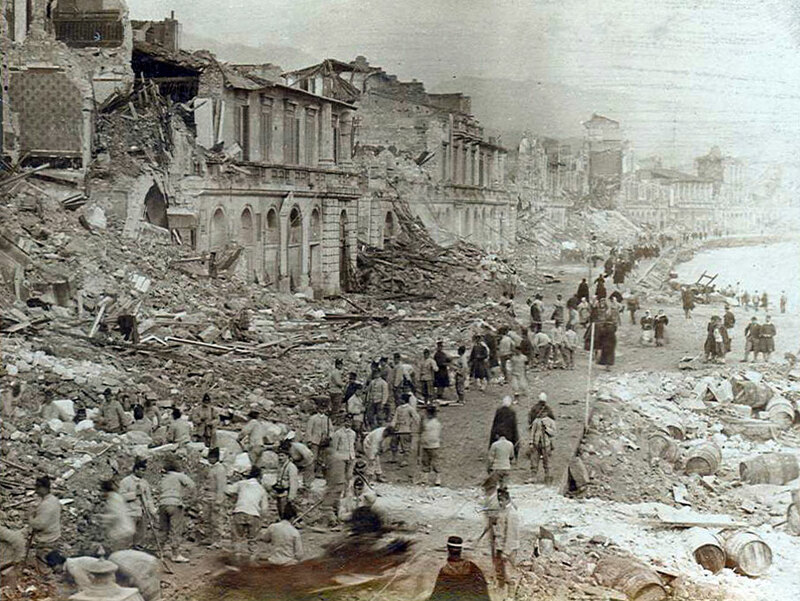 The earthquake itself caused great destruction throughout Portugal, killing tens of thousands. As with the earthquake in Messina people sought safety in the open space of the seafront. Here they watched in consternation as the water in the harbour began to recede revealing a sea floor strewn with lost cargo and old shipwrecks. Around 40 minutes after the earthquake had hit a wall of water engulfed Lisbon’s whole downtown area. Three waves in total battered the city with stories of people just managing to outrun them on horseback. The actual height of the waves can only be estimated but the tsunamis that hit North Africa were as tall as 65ft (20m). Portugal and Morocco took the brunt of the earthquakes and tsunamis but destruction was also recorded in distant parts. Within a few hours a 10ft (3m) wave struck Cornwall in the south of the UK and less than ten hours later the huge waves struck Caribbean islands and north coast of Brazil. As with other historical natural disasters it is difficult to ascertain the number of casualties, particularly when the figures are mixed up with those killed in the preceding earthquake. Best guesses from historic sources put the global death toll from the 1755 tsunamis as upward of 30,000. 36,000+When Krakatoa erupted on an August morning in 1883 it made the loudest noise ever recorded. The bang was heard over 3,000 miles (4,500km) away in countries such as Australia with shock waves travelling around the world 7 times. Exploding with the force of more than 10,000 atom bombs it is little surprise that degree of devastation Krakatoa caused both near and far. Those in the immediate vicinity were wiped out by the intense heat and explosive force of the blast, whilst those a little further away would have been sandblasted by superheated ash. Although many thousands died from the immediate effects of the volcanic eruption it was the four ensuing tsunamis that resulted in the majority of deaths. Caused by the massive amounts of rock and lava crashing into the sea as the whole island collapsed waves of up to 150ft (45m) were generated. 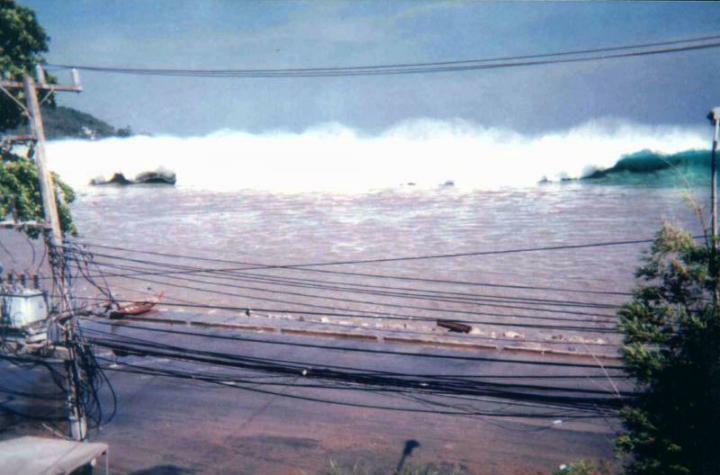 It was such a wave that hit the port town of Merak in Java, completely destroying it. In total around 165 coastal towns and villages in Java and Sumatra were annihilated by the tsunami leaving an estimated 35,000 people dead. There is a story of a German quarry manager who claims he climbed to the top of his three-storey office building to seek refuge from the tsunami. Despite the building itself being 100ft (30m) above sea level he was washed off by the enormous unbroken wave. To survive (or so his story goes) he managed to grab hold of a huge crocodile, also caught up in the wave, and surf it some distance inland. Whilst the crocodile surfing story may seem a little far fetched there is still physical evidence of the iron navy patrol vessel that was washed nearly three miles inland. The tsunami was felt as far away as New Zealand and South Africa where ships were rocked in harbour. 280,000On Boxing Day 2004 the third most powerful earthquake ever recorded struck 100 miles (160km) off the coast of northern Sumatra in Indonesia. The earthquake had a magnitude of 9.2 and involved as much energy as 550 million of the atomic bombs dropped on Hiroshima. The effects were global; a movement of around at least 1cm was recorded everywhere on earth, the amount of rock moved means the world spins on a slightly different axis now and the upward movement of the seabed has resulted in sea level rises of 0.1mm across the planet. With such massive movements of the sea floor a tsunami was inevitable. Driven by a 1,000 mile (1,600km) north to south fault line a powerful wave was triggered in the east-west direction. The results were a tragedy of almost unimaginable scale affecting coastlines both near and far. 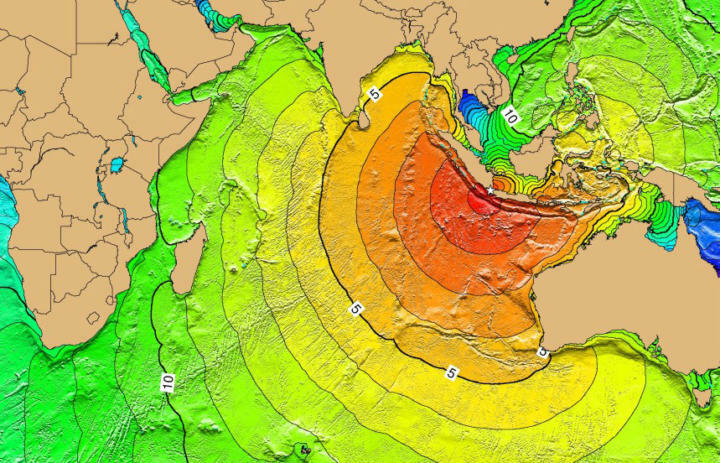 The tsunami first hit land around 20 minutes after the earthquake on the northern Indonesian region of Aceh where it measured up to 100ft (30m) and reached around 3 miles (5km) inland. Before long the tsunami had caused destruction along the coast of north Sumatra and many outlying islands. It is in Indonesia where the tsunami claimed most of its victims, nearly 170,000 in total. However, the disaster was far from over as the tsunami raced across the Indian Ocean at around 600 mph (900 km/h). Sri Lanka was the second worst affected nation with over 40,000 fatalities despite being over 1,000 miles (1600 km) from the epicentre of the earthquake. The tsunami struck in 3 waves, the second being the most devastating. Ranging from 15ft (4.5m) to 33ft (10m) the waves affected both Sri Lankan coasts. Perhaps the worst single incident in Sri Lanka was the train disaster in which a packed passenger train was fully engulfed by the tsunami. The Matara Express was carrying an estimated 1,700 people when it was hit with the full force of a wave measuring over 25ft (8m). 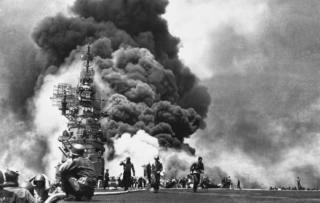 Virtually all on board were killed. Attempts had been made to warn the train further up the line but no one could contact it. This was the worst ever rail disaster in history. Around the same time as the waves struck Sri Lanka the tsunami reached Thailand. Although much closer, the shallower sea meant the waves travelled slower in this direction. Christmas is the height of the tourist season in Thailand and the west coast and islands which took the brunt of the waves are some of the main resort areas. For this reason a high number of European tourists died in the disaster; it was the single largest loss of life abroad for Sweden with similar figures for Germany. The worst affected areas were Phang Nga and Krabi, although other popular resorts such as Phuket and Ranong also suffered considerable loss of life. Also seriously affected was India where over 18,000 perished. Whilst the east coast and states such as Tamil Nadu and Andhra Pradesh were worst hit by the disaster even the west coast state of Kerala suffered as surges up to 12ft (4m) wrapped around the coast. The overall death toll from the 2004 Indian Ocean tsunami is estimated to have been 280,000 people. Even in this day and age many of these deaths were unavoidable. However, the primary reason so many people died was the lack of an Indian Ocean tsunami warning system. The Pacific Ocean has had such a system since the 1950s, so why not the Indian Ocean? Well, despite the fact that the “Pacific Ring of Fire” does encroach onto the Indian Ocean the number of tsunamis has been minimal. In fact the last serious such one was back in the 1400s so the scale of this disaster was somewhat unprecedented. However, as of 2015 the region does now have a warning system which hopefully will never be triggered. The examples above are some of the most destructive and deadly tsunamis ever recorded. However, they are nowhere near the biggest waves recorded. That claim belongs to the megatsunamis. 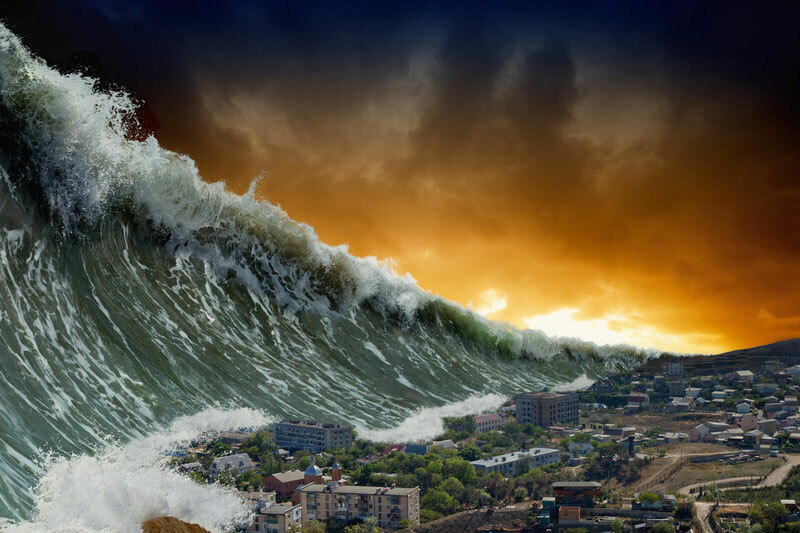 Biggest of all the waves ever recorded was the 1958 Lituya Bay megatsunami in Alaska. The wave was created by a massive landslide (around 90 million tons of rock) crashing into the narrow inlet of Lituya Bay. The resulting surge of water stripped trees from the cliffs 1,722ft (525m) above the bay. The Lituya Bay megatsunami occurred in a place where there were virtually no inhabitants and it was only witnessed from afar with no casualties. This was not the case in the 1963 Vajont Dam disaster in Italy. Billed as the tallest dam in the world and measuring 860ft (262m) in height this impressive manmade structure stood in a steep-sided valley. Whilst the dam was being commissioned and the lake behind filled with water a massive landslide occurred sending most of the lake’s water surging towards the dam. This landslide had actually been expected and some of the dams engineers were on top of the dam to observe it. Unfortunately for them and another 2,000 people further down the valley the landslide was dramatically bigger than predicted creating a wave some 10 times higher. The tsunami of muddy water and measured 820ft (250m) in height had no problem washing over the dam and some 50 million cubic metres (a third of the lakes contents) went rushing down the valley destroying everything in its path.